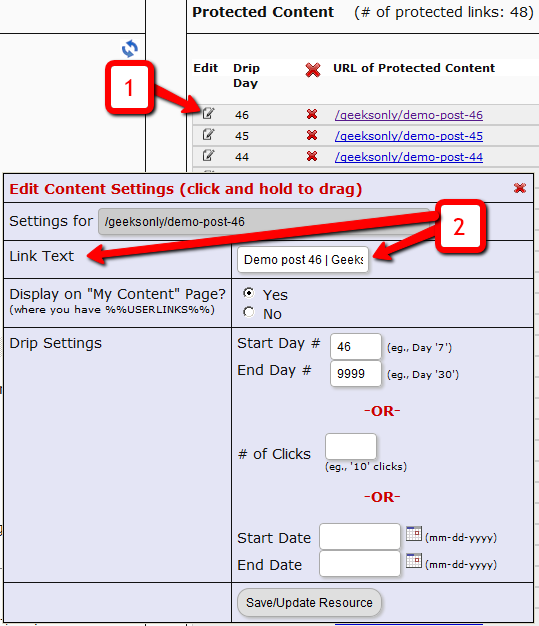 When you have hundreds of posts or pages protected as part of a DAP Product, the list of links on the DAP Member Home Page (that is the result of using the merge tag %%USERLINKS%%) can get quite long and unwieldy. So you can choose to hide some of those links from being displayed on the member’s home page. 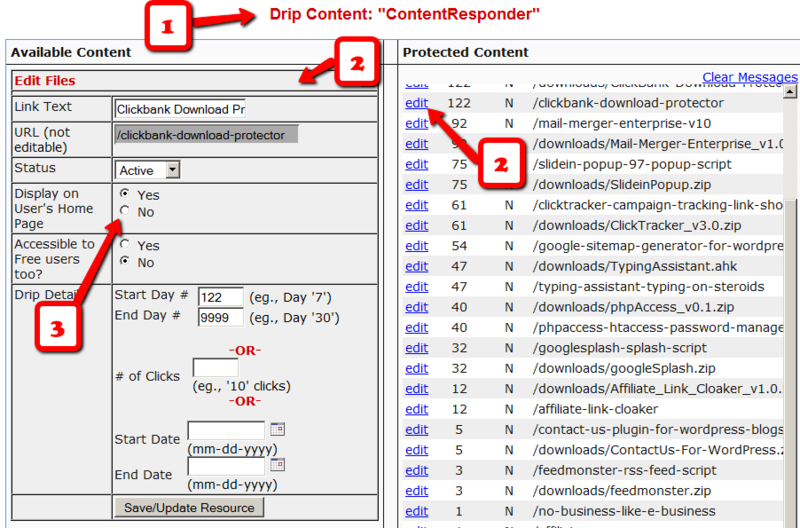 2) Click on the edit link next to the content in question on the right. The “Edit Files” popup will then show up on the left. 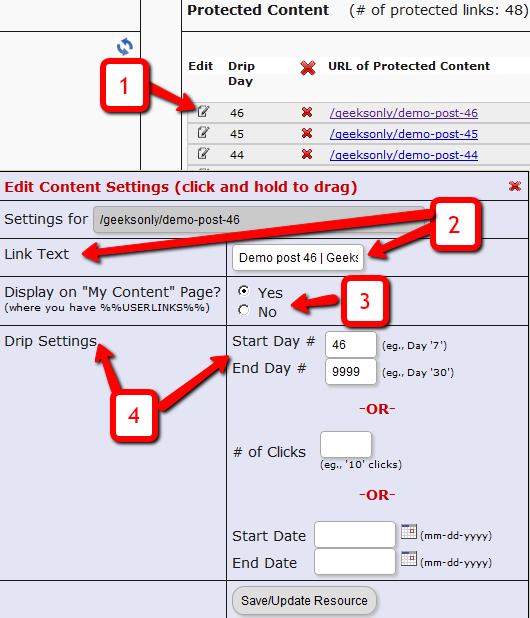 3) Set “Display On User’s Home Page” to “N”. The content is still part of that product, it is still being protected, but the link simply won’t be displayed on the member home page. Once a post or page is added to ANY DAP product, then it becomes protected, and will be available to only those who have authorized access to that Product. 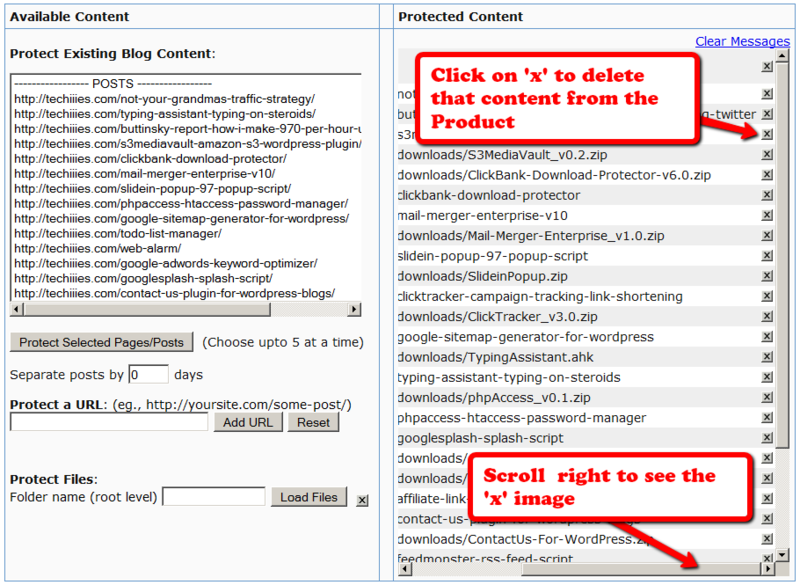 So to completely Un-protect a page or post that you have protected previously, and make it “public” (a.k.a “open”) again, so that any casual visitor to your blog or web site can see it, you just scroll to the right in the “Protected Content” section, and click on the “X” image next to the content that you wish to Un-protect. Of course, also make sure that you do the same for all products – because if you forget to delete it from even one Product, then it will continue to remain protected.